Alan Mann Racing employed some of the most talented drivers of the era, find out more about their achievements below. 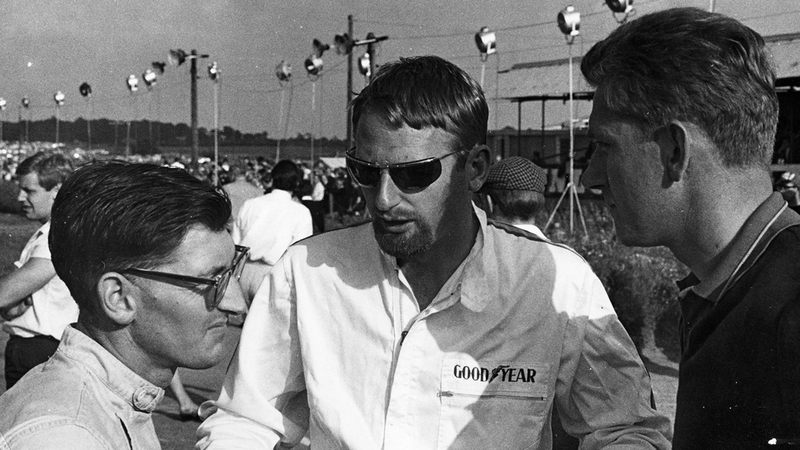 Sir John Whitmore was one of Alan Mann Racing’s most prominent drivers. In his first year in the competition he won the British Saloon Car Championship and came second the following year. He also won the European Touring Car Championship and drove in the 24 Hours of Le Mans for five years between 1959 and 1966. Alan Mann Racing stalwart, Frank Gardner was best known as a Touring car and Sports car racing driver but he was also a top flight open wheel driver. He was European F5000 champion and participated in nine World Championship Formula One Grands Prix. One of the most charismatic drivers to line up on the grid, Graham Hill epitomised the era in which he drove. Having only learned to drive at the age of 24 he rose to the peak of the sport. A two time Formula One World Champion, Hill is the only driver ever to win the Triple Crown of the 24 Hours of Le Mans, Indianapolis 500 and the Monaco Grand Prix. Taylor started his career in speedway in East London before moving through the ranks from Formula 3 to Formula 1. He participated in 11 Formula One World Championship Grands Prix but after a serious accident Taylor turned away from single-seater racing and took up rallying. After retiring from driving in 1965, he became Ford's Competition Manager. Jacky Ickx's first professional drive was for Alan Mann Racing in a Ford Lotus Cortina MKI. He went on to win the 24 Hours of Le Mans six times as well as eight wins and 25 podium finishes in Formula One, he won the Can-Am Championship in 1979 and is a former winner of the Dakar Rally. Formula 1 driver, Le Mans 24 hours winner and Can-Am champion, Jackie also founded the Arrows F1 team and continues to race successfully in historics to this day. Alan Mann rated Bo Ljungfeldt as the most naturally talented driver he had ever seen. He was at his best on the snow and ice and over the long and gruelling Rally stages he would often replace sleep with his favorite restorative, Scotch and Coca-Cola. An icon of motorsport, Jackie Stewart (AKA The Flying Scot) is a three time Formula One world championship. Many of the standard regulations to which innumerable drivers owe their lives are a result of Stewart’s campaigning for safety within the sport. Having served with Royal Air Force during World War II, Peter Harper became Britain’s most consistently successful rally driver during the 1950s and 1960s. In 1962 he finished as runner-up in the British Saloon Car Championship. He was elected to the British Racing Drivers Club in 1994. Popularly known as "Gentleman Jack” he won the inaugural British Saloon Car Championship in 1958 and followed it up with a second championship in 1963. After an accident ended his motor racing career in 1965 he became one of the principal organisers of the 1968 London-Sydney Marathon. An accomplished cycling racer before taking up motorsport, Peter was a multiple race and rally winner in the 60’s before his career was ended by a terrible fire at Goodwood. He is an active member of the BRDC and continues to attend historic race meetings. Mike Spence participated in 37 Formula One World Championship Grands Prix and numerous non-Championship Formula One races, as well as sports car racing. Tragically he lost his life during a practice session at Indianapolis in 1968, he was 31 years old. Jack Brabham began his career as a Royal Australian Air Force flight mechanic and ran a small engineering workshop before he started racing midget cars in 1948. He is best known as a three time Formula One champion and founder of the Brabham racing team and car constructor that bore his name. He is the only man to win the Formula One world championship driving one of his own cars. 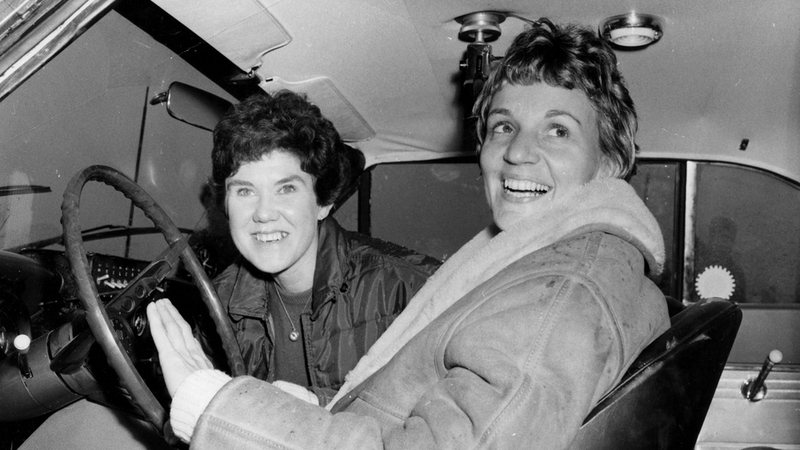 Racing driver, journalist, author and photographer, McCluggage was a pioneer of equality for women in the USA, both in motorsport as well as journalism. Having driven to great success and earning the respect of her male counterparts she retired from motorsport in the late 1960s. She went on to become the founding editor of the U.S. automotive magazine AutoWeek. Bob Bondurant is an American motorsport hero, famously winning the Le Mans 24 Hour GT class and the FIA Manufacturers' World Championship in 1965. Along with Graham Hill he saved the life of Sir Jackie Stewart during the 1966 Belgian Grand Prix. After retiring he founded a high performance racing school from which over 500,000 people and 90% of NASCAR drivers have graduated. Richard Attwood got into the motor industry as an apprentice at sports car manufacturer Jaguar. He started racing in 1960 and swiftly moved through the ranks to Formula One where he achieved one podium and scored a total of 11 championship points. He was also a successful sports car racing driver and won the 1970 24 Hours of Le Mans race. Bruce McLaren died aged just 32 when his Can-Am car crashed at Goodwood Circuit during testing. Before his death he was quoted as saying “It would be a waste of life to do nothing with one's ability, for I feel that life is measured in achievement, not in years alone.” His name lives on in the McLaren team which has been one of the most successful in Formula One history, having won a total of 20 world championships. Although he participated in several Formula One World Grands Prix it was touring cars where Huber Hahne really excelled, winning the European Touring Car Championship. Hahne was the first person to lap the ominous Nürburgring in under 10 minutes in a touring car. Jochen Rindt is the only driver to posthumously win the Formula One World Driver’s Championship, after being killed in practice for the Italian Grand Prix. He competed in 62 Grands Prix, winning six and achieving 13 podium finishes. Away from Formula One, Rindt was highly successful in other single-seater formulae, as well as sports car racing. Arundell became a professional racing driver after finishing his time in the Royal Air Force. He marked his arrival in the Formula One in 1964 with two podium finishes and was regarded as a strong prospect for the future. However he retired prematurely following a near fatal accident where he was thrown from his car. 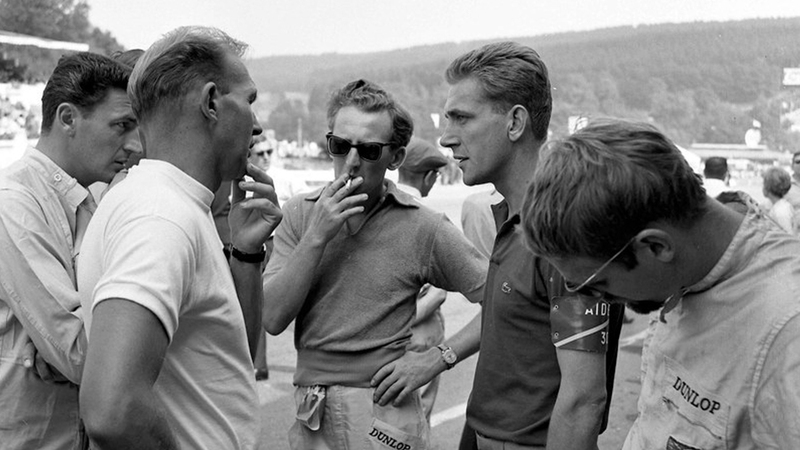 In the mid 1960s France was searching for new Formula One stars and a determined Jo Schlesser was adamant that he could fill that role, despite being in his late 30s at the time. 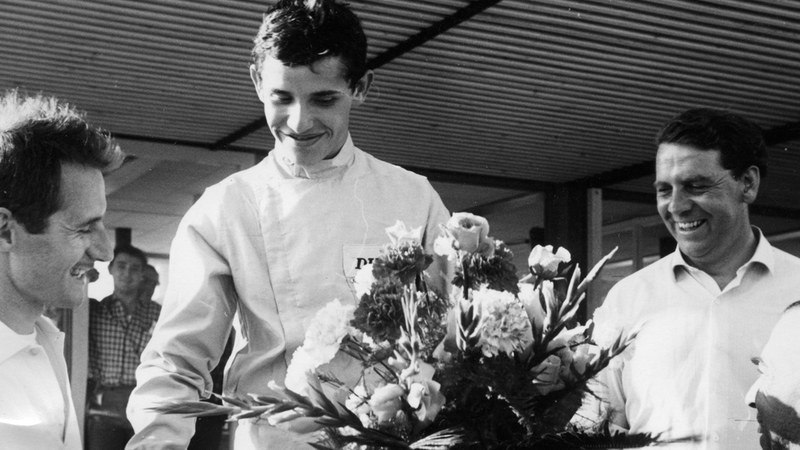 Having been seriously injured in a crash in practice for the Le Mans 24 Hours in 1961, he fought his way to a Formula One drive, tragically his only reward would be an untimely death on home soil at the French Grand Prix. Jochen’s racing career began in touring cars, his first major event was the 1964 24 Hours of Le Mans and in 1968 he won the 24 Hours of Daytona. Having retired from racing he went on to become a successful manager, ultimately founding the famous BMW M team and company. As a manager he is credited as having discovered and taught Michael Schumacher, Karl Wendlinger and Heinz-Harald Frentzen. In American popular culture the Andretti name is synonymous with speed and Mario Andretti’s career is littered with records. He is one of only two drivers to win races in Formula One, IndyCar, World Sportscar Championship and NASCAR. During his career he won the 1978 Formula One World Championship, 4 IndyCar titles. Andretti had a long career in racing and was the only person to be named United States Driver of the Year in three decades. Lucien Bianchi's first race event was at the Alpine Rally in 1951. He won the Tour de France three times as well as the Paris 1000 sports car race twice. He entered Formula One in 1959, making sporadic appearances at first but securing a regular drive in 1968, his best performance was third at the 1968 Monaco Grand Prix. He was killed when his Alfa Romeo T33 spun into a telegraph pole during Le Mans testing in 1969. The 1967 Formula One World Champion for the Brabham team was nicknamed 'The Bear', because of his "gruff nature”. 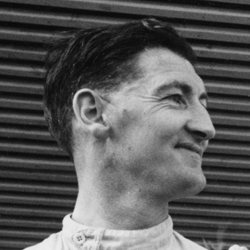 During his career, Hulme drove the most powerful cars of his era. He raced in F1, F2, Indycars, Saloon/Touring Cars, CanAm and endurance races, all during the same season. After retiring from F1, he even drove in truck races. Chris Irwin began racing in the early 1960s and by 1966 he had established enough of a reputation to be offered a drive by Brabham in the British Grand Prix which led to an offer to drive for BRM in 1967. He more than justified the decision with some good finishes, none more so than his fifth in France which. The signs were good, but his career was cut short by a terrible crash during practice for the Nürburgring. Triple champion of France Rally (tourism class) between 1964 and 1966, Henry Greder (“Titi" to his friends) had a particular mastery of snowy mountain roads, especially behind the wheel of a Mustang. He also participated in the 24 Hours of Le Mans seven times consecutively for his own team, Greder Racing, his best result was 8th in 1970.